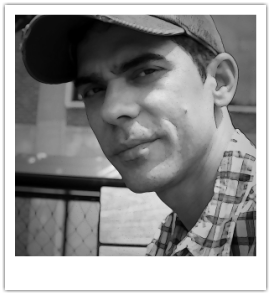 He moved to New York City in 2002 from Puerto Rico and earn MFA in set design from Brooklyn College. A Multifaceted artist, he is also an experience actor with credits in Theater, film, TV and radio. As a radio actor he worked for the Drama Project of the Public Broadcasting Corporation of Puerto Rico (WIPR) for several years. On TV, he starred in films Vampiros, Sudor Amargo, Plaza Vacante, the miniseries Papá Mendigo, and the soap opera Cuando despierta el amor, all produced in Puerto Rico. In 1996, Dieppa won the New coming Actor of the Year award granted by the Theatre Critics’ Circle of Puerto Rico. In New York, Dieppa has collaborated with Karina Casiano in her independent projects ¿Qué me trajiste? : Cabaret Boricua and Colonia 2007 o el cabaret de los días terribles at HERE Arts Center, and appeared off- Broadway at Repertorio Español in The Dog in the Manger. He also starred in the feature film Reasons for Exxxile by Juanma Calderón. He was part of the theater group La Criatura, and participated on the site specific play “Silencio es Salud”. Outside the Theater he has being involved with the design team at Spaeth Design designing the famous Christmas windows for Macy’s, Lord &Taylor and Sak’s. He has being the resident set designer for Elisabeth Irwin High School for the past six years. Currently he is an union member of USA Local 829 and is a adjunct faculty in Brooklyn College where he teaches CADD for design students.